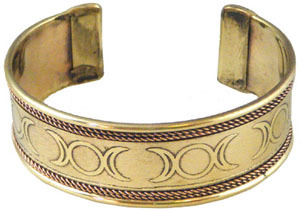 This is a beautiful copper bracelet embossed with the triple moon design all the way around. Flexible so you can adjust it to fit just about any wrist. Responsibly imported from India.